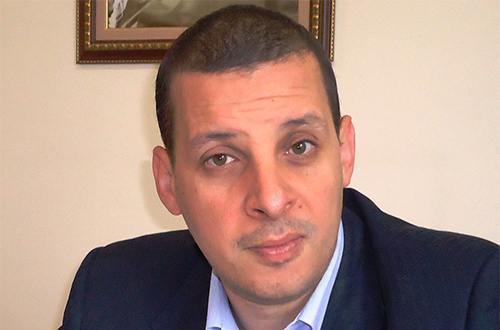 Fadi Elhusseini is a political and media advisor at the Palestinian General Delegation in Ottawa and also an Associate Research Fellow at the Institute for Middle East Studies in Canada. He contributed with one chapter in a book entitled Turkish Foreign Policy in the New Millennium. His articles, researches and papers have appeared in scores of newspapers, magazines and websites in English, French, Arabic and Italian. Fadi’s research focuses on the role of Turkey in the Arab World in the aftermath of the so-called Arab Spring. Commenting on his PhD dissertation, the 41-year-old said: “I tried to translate my observation into a research and a novel approach. I have observed the rising role of Turkey in the Arab World before the Arab Spring. He received his Master’s degree in International Commercial Laws and Policies from Italy and earned his Bachelor’s degree in Economics and Political Science from Egypt. He still wanted to pursue a PhD and was looking for a minimum acceptable UK academic ranking before applying for a number of universities. Fadi explained: “I decided to go with the first university that accepted my proposal. It was the University of Sunderland. After few months, I discovered that my choice was the right one for many reasons. First, the academic standard is very good and with the annual monitoring review meetings, the University keeps track of the academic development of the students. Despite the challenging topic Fadi is proud to say that the accomplishment of this research is an achievement by itself. He also credits Dr Geoffrey Nash for inspiring and encouraging him to go through all the challenges and difficulties he faced.